Our thread bushes are the ideal solution for creating highly resilient, vibration-resistant and torsion-proof nut threads in metal materials with low shear strength, such as aluminium, aluminium alloys or magnesium alloys. When installing the thread inserts in the receiving part, the safety flange is pressed flat into the surface of the workpiece. This distorts the pipe-shaped neck area below the safety flange. 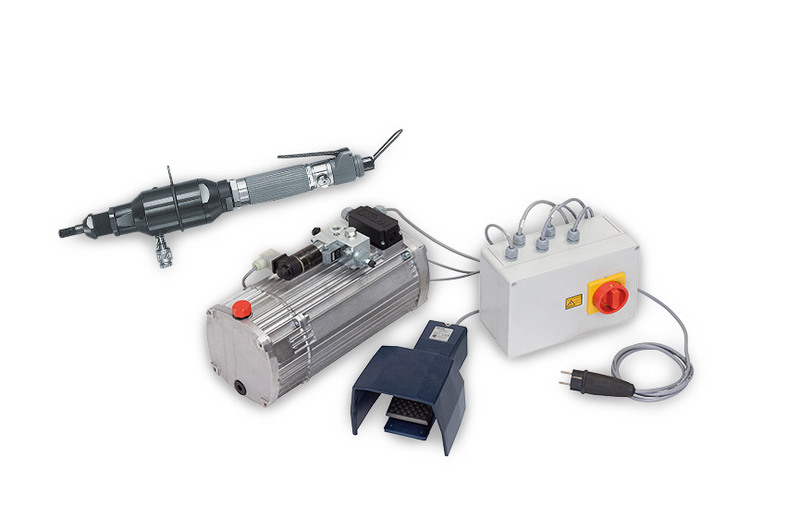 We can also supply the appropriate installation tools. In the automotive industry KOBSERT® thread inserts are installed for example in engine mounting parts, gear connections, oil drain plugs and towing eyes. Other industrial applications include refrigeration and air-conditioning technology, electrical engineering or agriculture and garden technology. Twist drills of the dimensions specified in the thread standard should be used for the mounting thread. The core hole should not normally be countersunk. Deburring is permissible, but no greater in diameter than the nominal diameter of the mounting thread. If KOBSERT® is used with a sealing ring or KOBSERT® HP, countersinking is always necessary. Metric ISO thread to DIN 13, cut with standard taps (6 H). Standard DIN thread plug gauges should be used to check the accuracy to gauge. 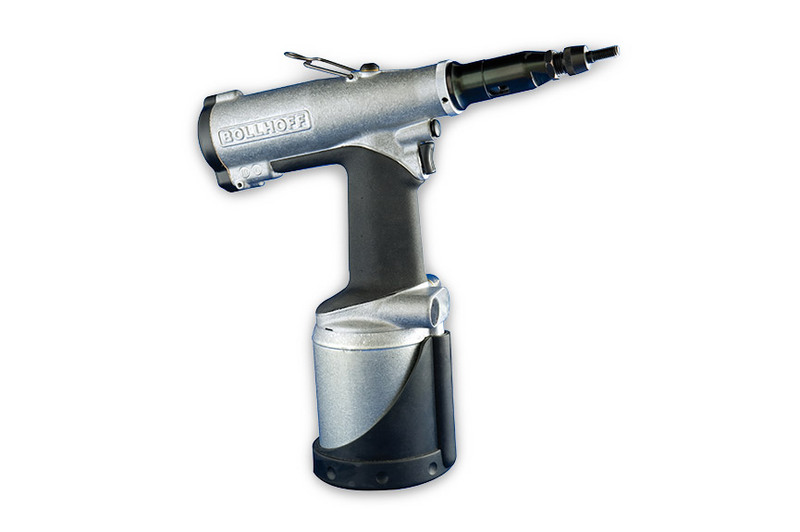 Manual or motor-driven installation tools are available to install the thread insert. The thread insert is screwed into the workpiece until the safety flange is resting on the surface of the workpiece. The installation procedure – pressing the safety flange into the workpiece – is carried out by a relative axial movement between the spindle, which has been screwed in, and the frontend assembly of the installation tool. The spindle is then removed again. 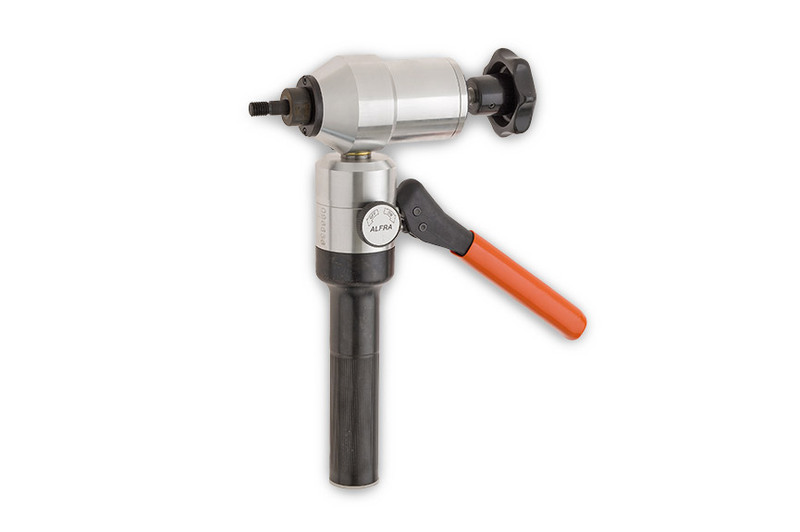 Use a twist drill (Ø = external thread diameter) to drill into the safety flange as far as the thread. 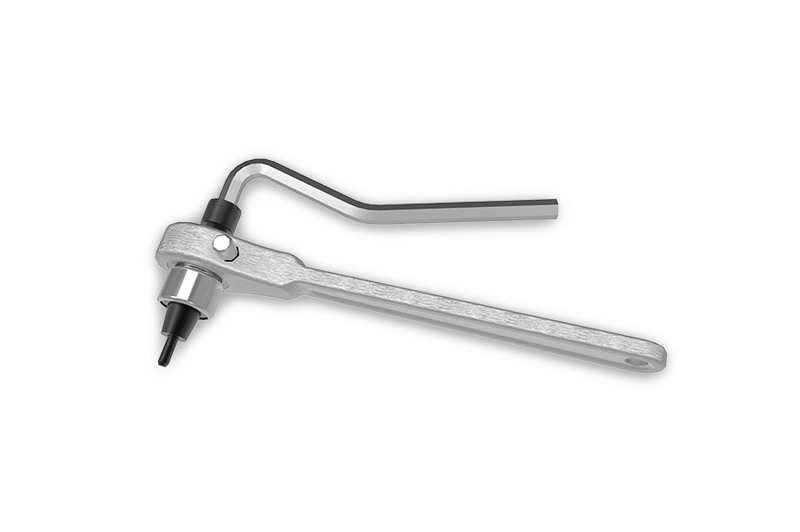 Lever out the safety flange using a triangular scraper or screwdriver. Insert a tool for unscrewing – or a suitable triangular scraper if necessary – into the internal thread to permit a transmission of forces. Turn the bush to the left to remove it. 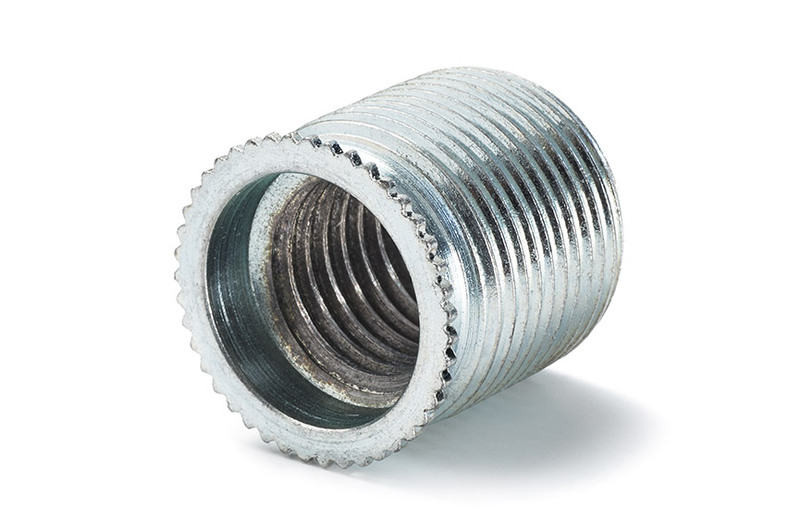 Screw in a thread insert of the same specified size until the safety flange is in the same position as before – turn it back slightly if necessary – and press it flat into the surface with the installation tool in the usual way. (M 4 to M 12). Manual screwing-in of thread insert and spindle, drive-in procedure through thread spindle drive and manual removal. Indirect limitation of stroke through manually applied torque. (M 8 to M 30 x 1.5). Manual screwing-in of thread insert and spindle, hydraulic drive-in procedure with lifting lever, and manual removal. Limited stroke due to stop ring. Change of wear parts by screwing out threaded mandrel and nozzle. 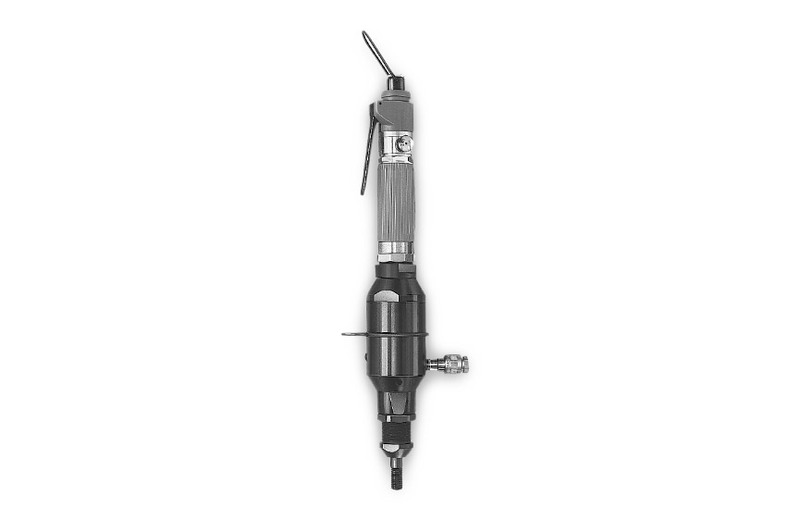 For M 14 or larger, the mandrel comprises two parts, mandrel and adapter . (M 4 to M 12 x 1.5). Spinning on the thread insert with automatic touch at the mandrel. Hydraulic-pneumatic drive-in as well as automatic spin-off. Limited stroke due to adjusting collar. Change of threaded mandrel with bayonet lock. Mechanical installation tool with hydraulic-pneumatic drive for large-scale production. 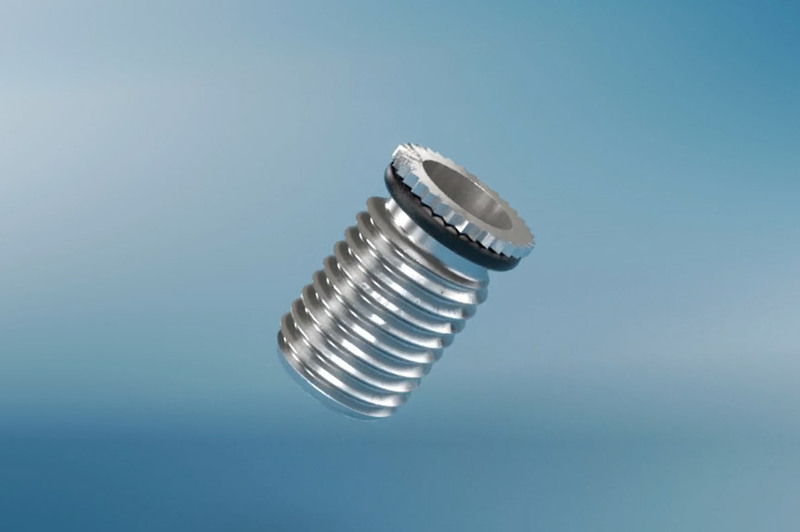 It can be used to install all types of KOBSERT® thread inserts (M 8 to M 30 x 1.5). Spinning on the thread insert through tilting lever actuation, hydraulic-pneumatic drive-in procedure with separate activation or pedal actuation and removal through tilting lever actuation. Limited stroke due to adjusting collar. Change of threaded mandrel with bayonet lock.